Efforts by the Oregon legislature to amend state law to allow local rent control has failed, but experts say there’s momentum to continue the attempt in the next session. In this episode of our popular blogcast series, René Nelson analyzes what’s happened and prospects for the future. Today we’re talking with René Nelson, CCIM, a well-known multi-family expert and commercial real estate broker about commercial real estate in Eugene. 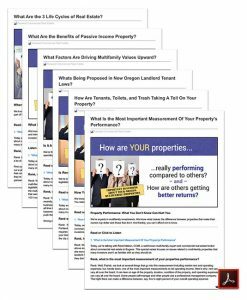 René, what’s the latest on landlord tenant laws in Oregon? René Nelson: Well, Patrick, we’ve seen a pretty sweeping change. When Portland passed their relocation and their new tenant laws in February, a lot of investors decided to flock into the Eugene market. We were excited at the time, and then shortly thereafter we watched that House Bill 2004 gain momentum and realized that it may have an impact on the state of Oregon. They took it to the House and it was passed, and then they took it to the Senate and I have to tell you at that point when we saw it gain momentum and traction a lot of my multi-family investors became a little concerned. Some of them started calling me and we analyzed properties to see if it was the right time to get out. Most of them, I advised them to just stand firm and let’s watch and wait and see what happened, and I think it worked to everybody’s advantage at this point. René, how do you see things going forward? René Nelson: Well, I have to tell you, Patrick, here’s how I see this is going to play out. The House bill was defeated this week as the Senate adjourned, and it just narrowly passed in the House in April. The vote was 31 to 27. 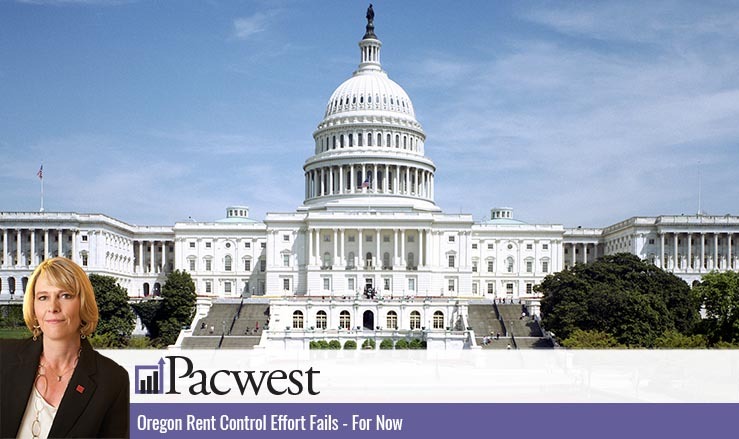 It never really gained momentum with strong support once it hit the Senate floor, and many of the senators cited that they were concerned with how the bill was written because it removed no-cause notices, it required landlords to pay relocation fees, and for the first time since 1985 there was a provision in there to lift rent control in the state of Oregon. All of a sudden, nationwide Oregon started to kind of get the label that we were going to have rent control. A lot of investors that had been coming out of the California market and the Phoenix market, some other, Florida market, all of the sudden they started to divert and look other places. When this bill was defeated this week, we realized that that’s a good thing for our market. It puts us back in the running with best prices in the United States for price per unit and for rent. There’s some other states … obviously Phoenix, as an example. Because that city is so vibrant they have a tendency to edge out Portland for rent. Seattle edges out Portland, but when you look at a sustainable lifestyle the tenants love to live here, which gives us a great tenant pool, so that really helps multi-family. To answer your question, the one thing that I do see though is we’re pretty confident that the tenant advocacy groups are probably going to try round two on the next legislation session, and they’re probably going to try to bring this back up again and have it voted on again. The moral of the story is that the rent control effort in Oregon has stalled for the moment, but there is significant momentum remaining. If you invest in commercial real estate, you need an expert like René Nelson on your side. She’ll keep you up-to-date on everything affecting the investing climate.